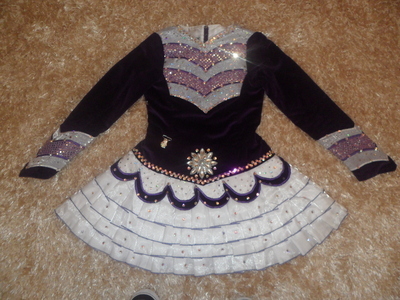 Hi You are looking at a beautiful Irish Dancing dress age 9-11 this dress is in excellent condition and was only worn a few times before my daughter out grew it. 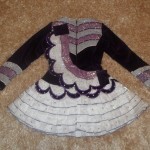 The main body of the dress is Purple velvet with a white pleated skirt and the dress is embelished with diamontes. 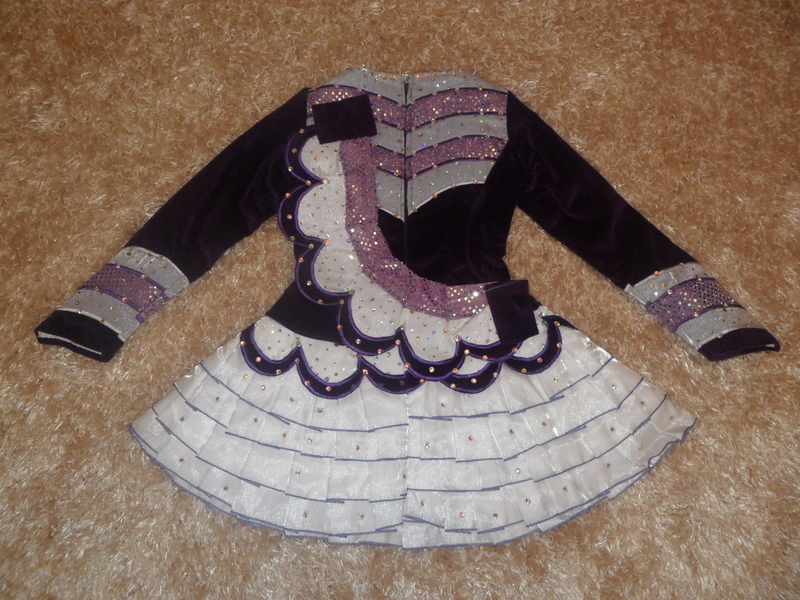 The picture does not do the dress justice but it looks stunning on stage and is very eye catching. Buyer will not be dissapointed.